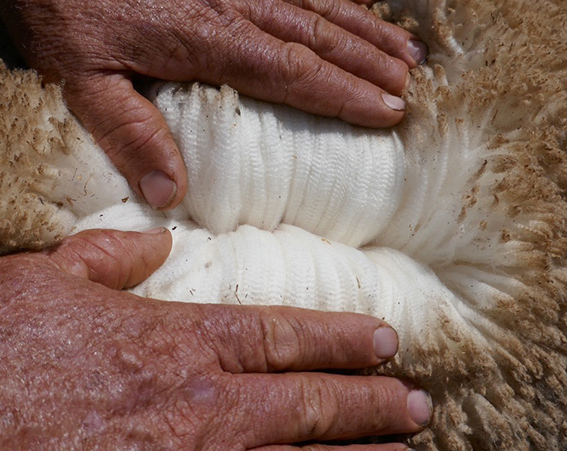 A dual purpose fine wool sire. 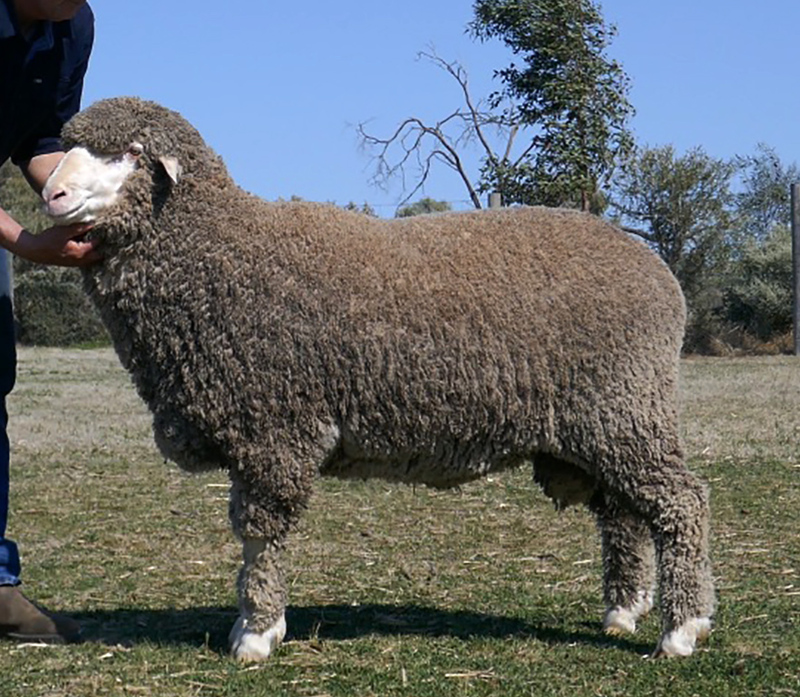 This ram is a very athletic sire, with brightness and nourishment. 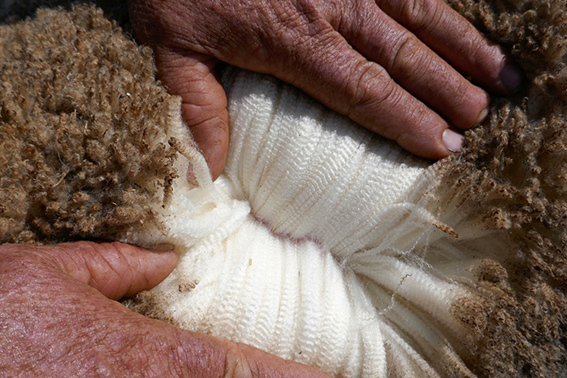 He has a constitution and wool that will handle any environment. 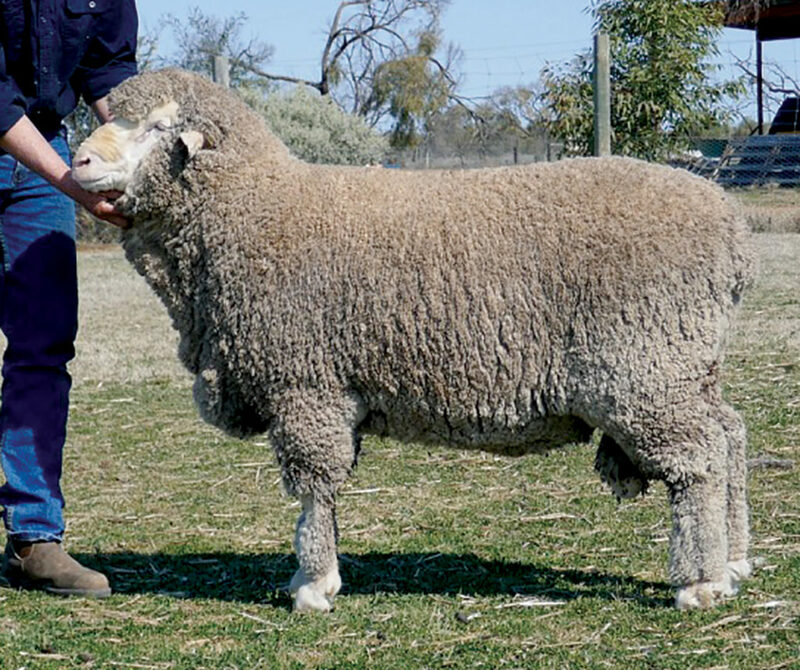 W17003 is a sire that will have an impact. 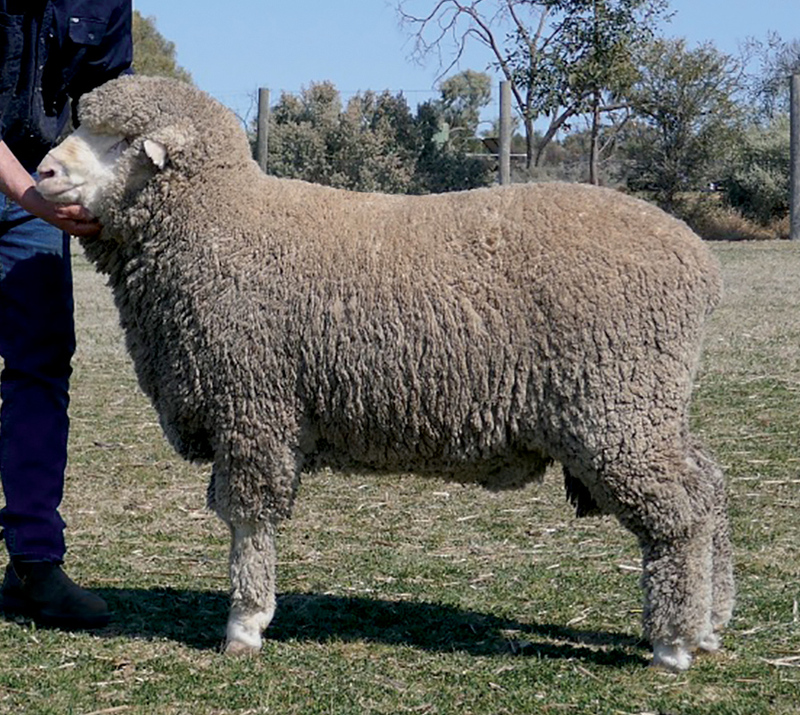 His sire, LB15001 was ET bred by B13014 out of a OONo.2 ewe. 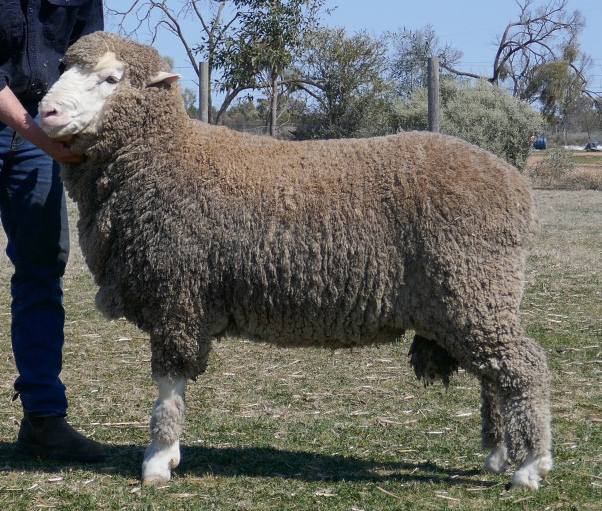 A sire by Wallaloo Park W22 and out of one of our best medium wool ewes. 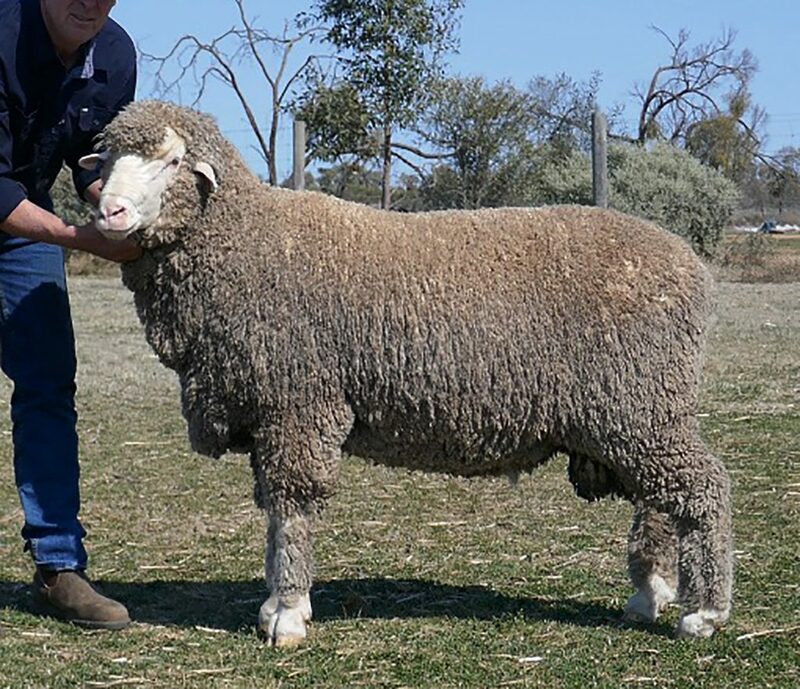 R17025 is a big sheep with more growing left in him. 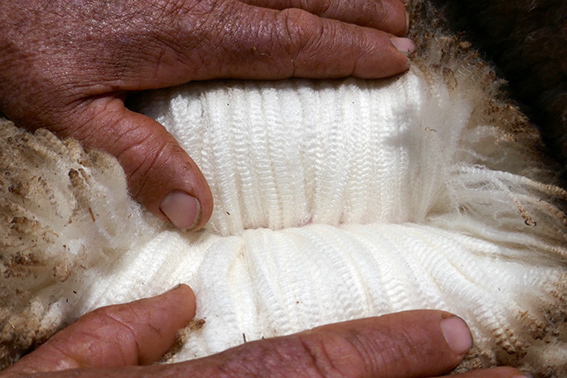 He has a long soft bulky, bright wool with 100mm of staple length grown in 6 months. 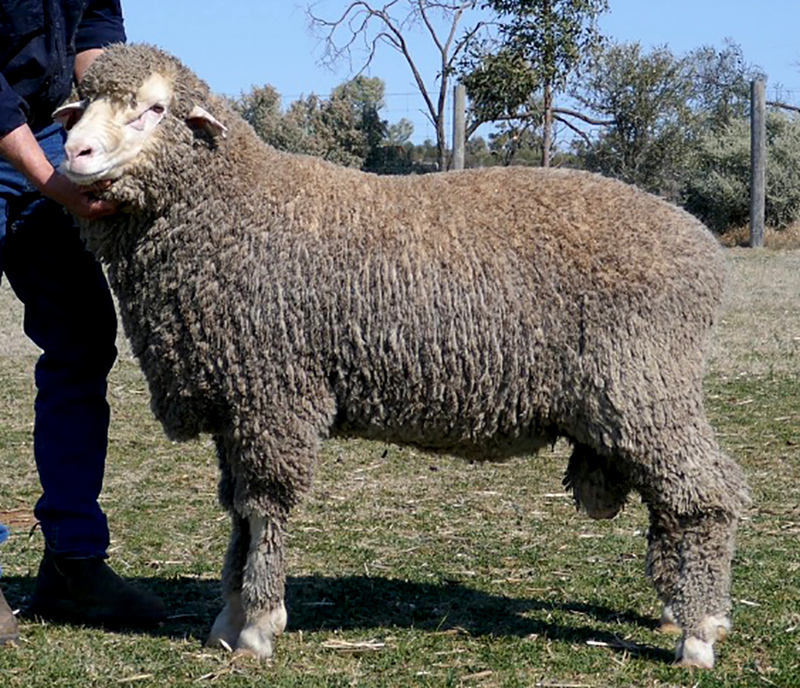 A free growing, dual purpose sire for those who wish to shear twice a year and not mules. 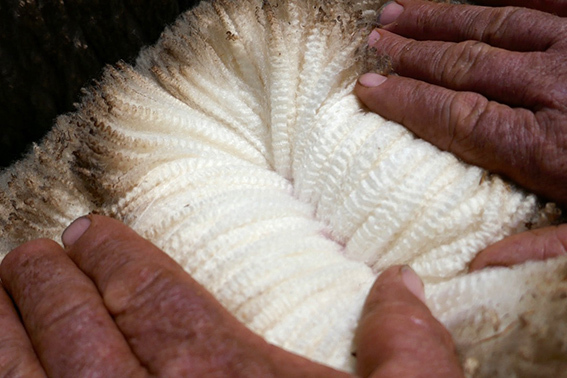 A deep bodied, exceptionally well balanced fine medium wool sire, with quality wool and skin. this is a ram without fault. 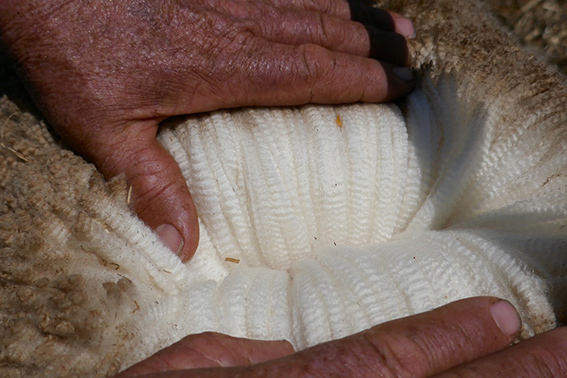 A large frame, bright soft wool sire with a very long staple and a bulky lock structure. By white tag 12228. 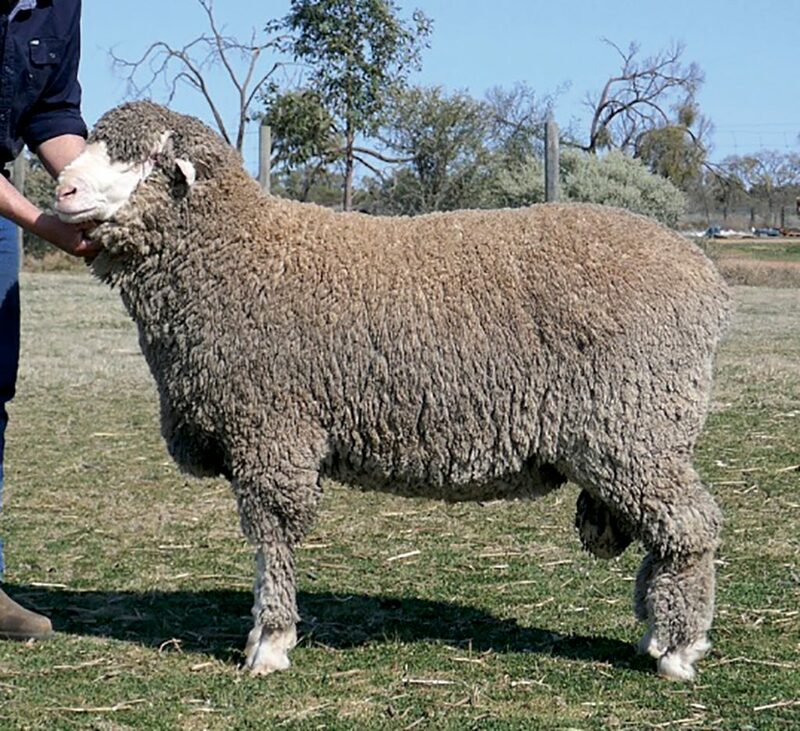 (A sire that cut 44lb of wool through the shed) W12228 is out of OONo.2 “12” (x RP09014) by Willandra Desmond. 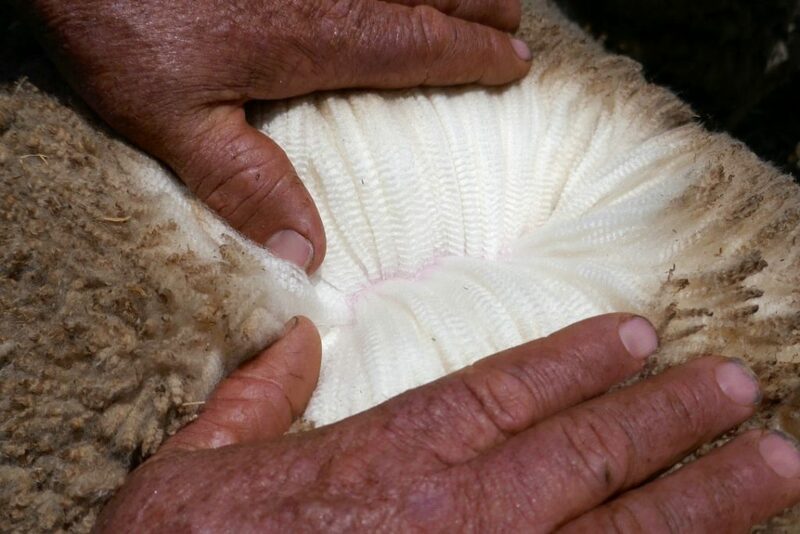 B17004 is a heavy cutting, rich medium wool sire, with a very good constitution. 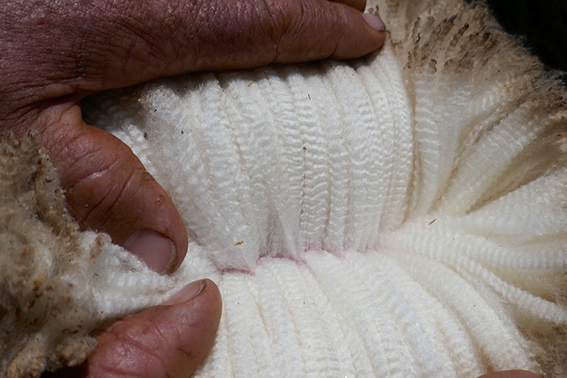 A long stapled, white, fine style wool on a ram with a very good carcus. A dual purpose fine wool type.